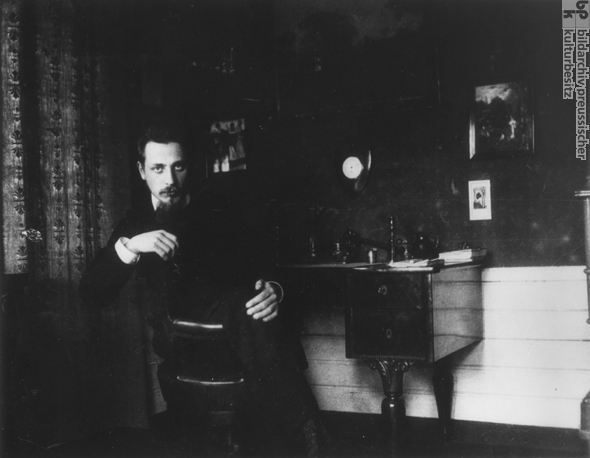 Rainer Maria Rilke (1875-1926) is considered one of the great lyrical poets of the twentieth century. Often dark and emotional, his work is generally elusive and difficult to interpret. Rilke often retreated into solitude after developing relationships with others, and his works, which deal with the anxiety and confusion of the individual adrift in modern mass society, reflect this propensity. His semi-autobiographical novel, The Notebooks of Malte Laurids Brigge [Die Aufzeichnungen des Malte Laurids Brigge] (1907), which he completed after a spell of depression, and his sequence of poems, The Duino Elegies [Duineser Elegien] (1923), remain his most famous works.